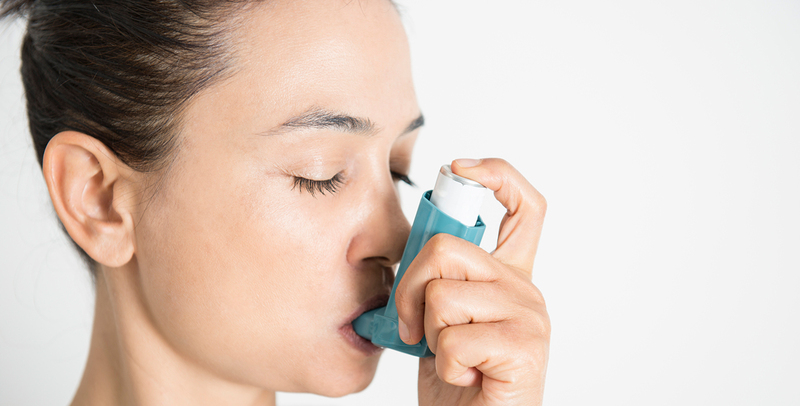 Can Chiropractic Help With Asthma? According to research, the skyrocketing number of asthma cases has to do with environmental variables such as increased pollution, food preservatives, mold and even genetics to name a few. While seeing a young child with an inhaler was quite a strange site in the 1980′s, today it is not that uncommon to see several kids in a classroom take out their inhalers for much needed relief. Asthma has become a huge problem and everyone agrees that future generations can expect to see even higher numbers of sufferers. Unfortunately there is no cure for asthma but there are ways to control the symptoms and stop it from becoming a larger problem that it already is. Experts agree that staying out of pollution, eating right, and living in a clean environment all help with the onset of symptoms, but what you may not have known is that chiropractic care has also been shown to reduce symptoms in both kids and adults alike. Why? Because another significant reason that contributes to the onset of asthma has to do with poor spinal health. Sadly, today’s generation is glued to their smartphones, TVs, video games and computers, and spend very little time being active. Naturally, their postures suffer, causing slight to severe misalignments in their spine. While most don’t realize the harmful effects of their poor posture, chiropractors know very well that even the slightest pressure on the delicate nerves can cause havoc elsewhere in the body, and not just manifest as pain, but issues with the function of vital organs. Regular corrective chiropractic care has shown eliminate spinal misalignment, significantly increasing nerve flow energy and restoring the function of all critical organs, including the lungs, the heart and digestive systems. CBP or Chiropractic BioPhysics is the most advanced, result-oriented chiropractic technique. Patients who have gone through the CBP treatment have shown significant improvements in their asthma. By addressing the root cause of the problem, CBP chiropractors are able to eliminate the major source of asthma and help patients live a more normal life again. The majority of patients under the care of a CBP chiropractor not only report an immediate end to their asthma symptoms, but more importantly feel vibrant, energized, and notice their overall health improving every day.